A 155 year-old Borders family business has announced its support for a wind farm proposal, saying that the potential boost to the local economy should not be ignored. Rodger Builders Ltd, which employs 30 people from its base in Earlston, has backed the plans from wind energy business Banks Renewables, after it committed to maximising the contracting opportunities for local firms and giving priority to placing local businesses on tender lists wherever possible so they can benefit from the construction contracts worth several millions to build the proposed wind farm near Hawick to local companies. The Hamilton based employer is awaiting a decision on its planning application to construct a 60MW, 15 turbine wind farm at its Birneyknowe site, between Hawick and Bonchester Bridge. If approved, this would create local investment of around £4.7 million over the 25 year life cycle of the wind farm. Willie Rodger, co-owner of Rodger Builders, believes the project would provide considerable employment and training opportunities while boosting the local economy significantly. 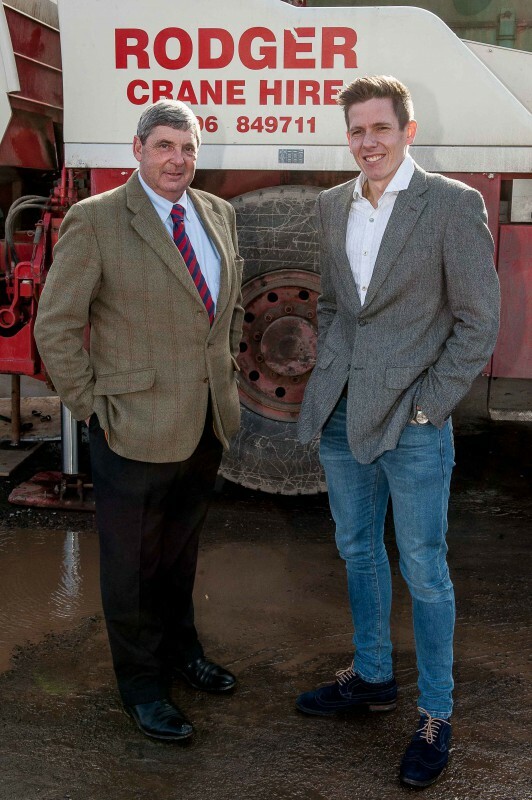 He said: “As the seventh generation to run the family business we certainly have a proud heritage – but we have to ensure that the focus is on the future and creating and safeguarding skilled jobs in the Borders. “If Birneyknowe Wind Farm gets the go-ahead we would hope to provide our plant hire and construction services, which could result in a substantial amount of work and would likely see us taking on staff and apprentices. He added: “Five years ago none of our work came from the renewable sector, but it now makes up around 40 per cent of our revenue. This work is normally gained from outside the region. Miles Crossley, senior business development manager at Banks Renewables, said: “We welcome the support from Willie Rodger, owner of such a well respected firm and a substantial local employer. “The feedback that we have had to our plans for Birneyknowe from local businesses has been fantastic and we appreciate more than ever the need to support local firms during these tough economic times. If approved, the wind farm would yield important contracts, potentially worth millions of pounds and local businesses will be encouraged to tender for work ranging from construction and maintenance, ground works, quarry and building products, plant hire and haulage, waste solutions, fabrication, aggregates, utilities, professional services and hospitality. Once operational it would also contribute up to £300,000 a year into a community fund, with local people agreeing the priorities for where the money should be invested. Similar projects delivered by Banks have resulted in job creation initiatives, provision of community infrastructure, delivery of major environmental projects and direct funding into community groups. Those living closest to the proposed site of a new community wind farm could be eligible for a rebate of up to £300 per year on their electricity bills under the Community Energy Contribution Scheme (CECS). The initiative has been devised following a continued dialogue with residents living nearest to the site and would be included in the community fund. You can also support this important project, which will bring precious jobs, investment, and clean green energy to the Scottish Borders area, by going to this resource: http://www.banksgroup.co.uk/birneyknowe/support-this-project/ now! It only takes a few seconds.